On site shredding services or paper shredding services have become widely used by small and large businesses alike. The reason for this is fairly simple: both companies and people have fallen prey to scams and various forms of identity theft stemming from information stolen off a disposed document. Companies now need to take great care with the means by which they destroy paperwork so as to protect their employees and their customers. Here’s a list of eight ways a company benefits when they properly perform document shedding protocols. Peace of mind for both company owners and customers knowing their personal information has been properly destroyed. There’s the added option of having the shredding process handled by a third party, alleviating the need to purchase pricey shredders. Because paper is one of the most-used circulating materials, shredding and recycling it keeps landfills from filling up early, leaving plenty of room for trash that paper will *not* be taking up. Shredding is one way a company can make sure to maintain compliance with new state and federal regulations about the careful handling of personal information. Customers and company owners alike can enjoy an added layer of trust between each other knowing they’re in safe hands. The more document shredding and recycling we do, the less new paper products get made from trees. On site document shredding is a great way to safely and cleanly dispose of trash, not to mention it frees up space in the workplace – definitely more space conscious than secure document storage. Plus, document storage companies can be broken into and stolen from as well, so it doesn’t solve the identity theft issue. A personal satisfaction is derived from knowing that you’re working to safeguard the environment, the personal lives of your associates, and your customer base. This results in increased loyalty and even higher sales numbers. Multiple options exist for how you want to handle your company’s shredding policy, whether through onsite document shredding or other means. On site shredding services are considered safest by some, while others prefer to have it handled by an impartial third party. Posted on November 27, 2014 by Gina. 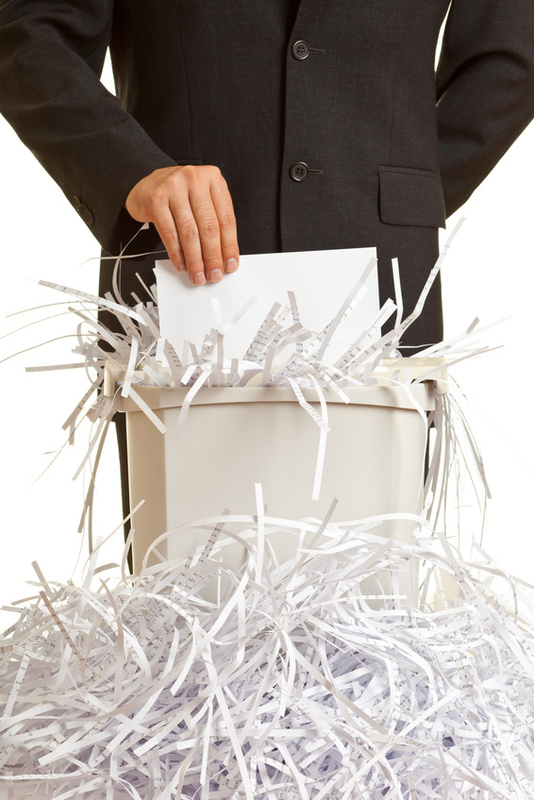 This entry was posted in Chicago shredding, Document shredding services, Paper shredding services. Bookmark the permalink.